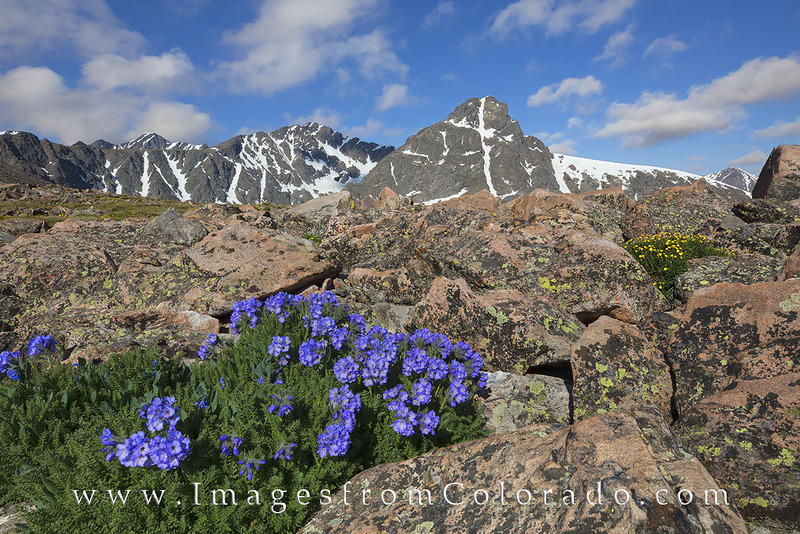 On the saddle as you head towards Notch Mountain, Colorado wildflowers grow in the rocky crags and alpine tundra. In the distance, the iconic cross of Mount Holy Cross (14,005') is cleary visible on a July morning. To reach this location at around 13,100', you'll have to grunt through 40+ switchbacks, but the sweat is worth it, as you are rewarded with a stunning and beautiful Rocky Mountain landscape. Photo © copyright by Rob Greebon.